RBI Grade B 2018 Notification : Reserve Bank of India Service Board, Mumbai invited applications for PhDs in Grade ‘B’ for Research Posts. Eligible candidates can apply for the post in the prescribed format on or before 30th November 2018. Before applying, candidates should ensure that they fulfil the eligibility criteria for the advertised posts in the Reserve Bank of India (RBI/Bank). Below are the details of RBI Recruitment 2018. Find the entire eligibility criteria for the Research Posts in RBI for the year 2018. High quality research potential of international standards and good communication skills are essential. Candidates will then be short listed for a second round of interview, which will involve a presentation of their research work. Final selection will be made based on the second round of interview. Fee/Intimation charges waiver is only for those employees of RBI (Staff Candidates) who satisfy the eligibility criteria separately stipulated by the Bank vide its circular CO. Note I: Applications without the prescribed Fee/Intimation Charges shall be summarily rejected. Note III: Fee/Intimation Charges are required to be paid only in the manner prescribed in this advertisement. 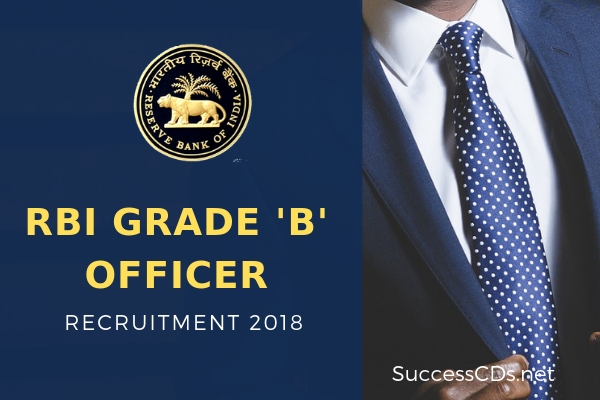 RBI Recruitment 2018 Apply Online - Here is how to apply! The applicants are advised to submit only single application; however, if due to any unavoidable situation, if he/she submits another/multiple applications, then he/she must ensure that application with the higher Registration ID (RID) is complete in all respects like applicants’ details, photograph, signature, fee, etc. The applicants who are submitting multiple applications should note that only the last completed applications with higher RID shall be entertained by the Board and fee paid against one RID shall not be adjusted against any other RID.